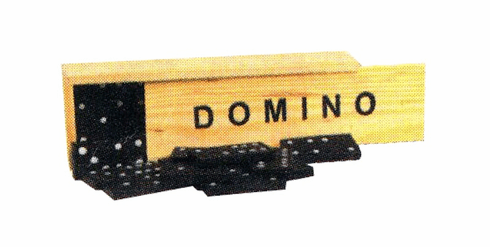 This 7" wooden travel box contains a basic set of black wooden dominos. Start up a classic game of dominos anywhere you go! 28 piece set.